In a city crawling with cats, it takes a fabulous feline to truly stand out. Enter Tombili, a chubby white-bellied tabby cat with a peculiar penchant for slouching against steps rather than sitting atop them. 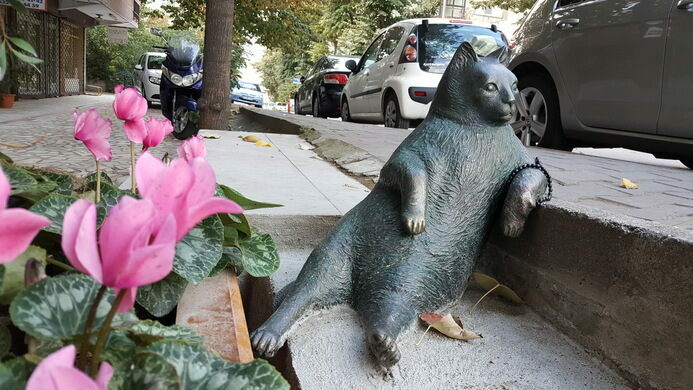 Her friendly nature made her a beloved resident of Istanbul’s Ziverbey neighborhood. She was, as locals were quick to realize, a cool cat. Tombili’s fame spread beyond her usual haunts after an image of her lounging in her preferred pose went viral online and became a meme. In the picture, she leans against a step, one paw draped over her tubby white tummy while the other rests atop the concrete. She’s poised as if about to ask a question, perhaps a casual inquiry about how long you’ve been coming to the neighborhood, before launching into her own life story. If you’re a cat person with access to the internet, you’ve likely come across the image. 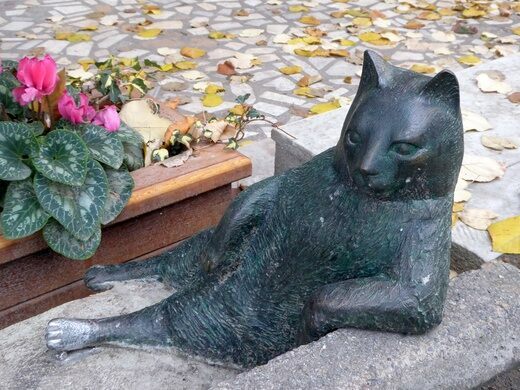 The “Chill Cat” meme puts Tombili in a myriad of scenarios: settled on a lavish couch, beckoning someone to “paint her like one of their French girls;” dressed up like Julius Caesar, complete with a Roman toga; or lazed across her chosen perch with a drink. Sadly, the beloved cat died in August of 2016. 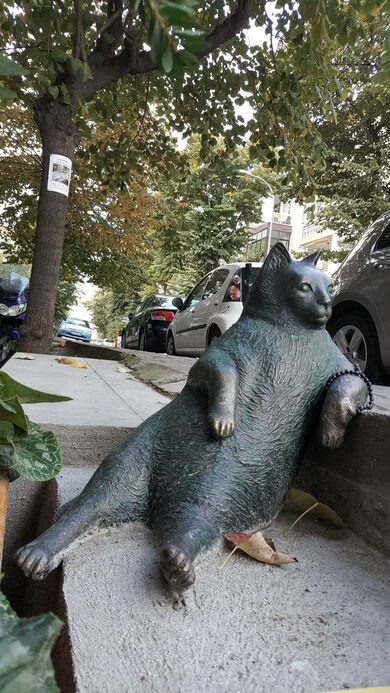 The district mayor commemorated the famous feline by installing a sculpture of Tombili in her iconic pose atop a step on World Animal Day. The sculpture was stolen a month after its installation, but after much public outcry, the thieves returned it to its original spot. People still visit to pay their respects to the internet star. A giant steel sculpture with animals in its shadows.